The reeds of the pi mae and pi klang are about 22mm long; the reed of the pi koy is about 20mm and that of the pi lek about 18mm. During use, the player holds the end of the pipe in his mouth, completely enclosing the reed. 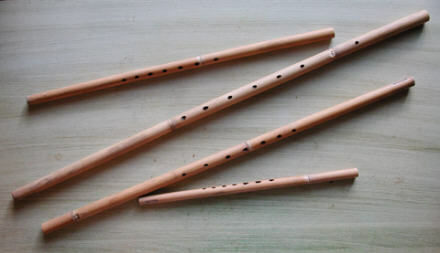 Traditionally, it is played as part of a pi joom ensemble, although similar free reed pipes are found used as solo instruments throughout Southeast Asia. A YouTube playlist devoted to the pi joom.